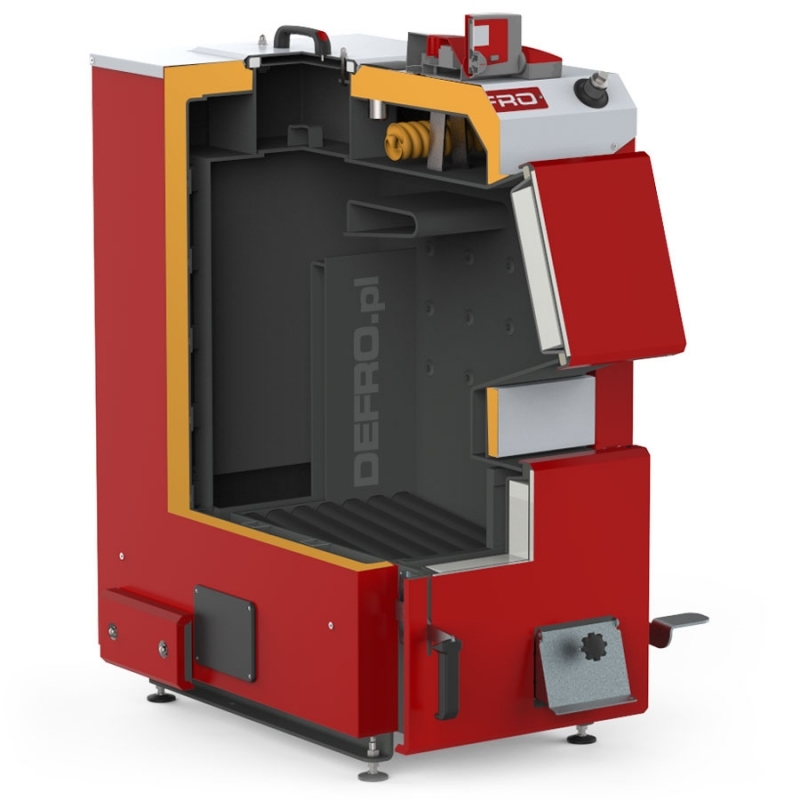 DELTA PLUS boilers are distinguished by a modern design characteristic for automatic boilers. Use of precisely selected, multipoint air supply system to the furnace ensures good combustion parameters for wide range of fuels with various grain sizes. Boiler is equipped with innovative vertical shelf heat exchanger ensuring optimal flow of flue gas and high boiler efficiency. S3P controller with modified PID algorithm ensures even better performance by lower consumption of fuel with respect to the standard controllers. Control system cooperates with two pumps (central heating and hot utility water pumps) but it can be easily developed with e.g. mixing valve module or room controller. 4 Foot of mobile grate is not available for 8kW model.